LBP Locksmiths Brighton were called to a job today on Ditchling Road in Brighton. The customer had lost the key to the lock on her rear door and wanted it opened and replaced. LBP Locksmiths Brighton were able to do this on the first visit, the job was a little tricky but we completed it relatively quickly and to a high standard of workmanship. 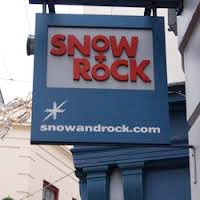 LBP Locksmiths Brighton carried out a broken key repair job today at a local Brighton retail shop called ‘Snow and Rock’ on Market Street. One of their keys had snapped off in the lock which operates their shutters. LBP Locksmiths Brighton arrived on the job quickly and extracted the piece of broken key. The staff were glad they were able to secure their shop properly again. LBP Locksmiths Brighton completed a window security improvement in the Saltdean Brighton. Nearly every window in the property was operating badly and insure. LBP Locksmiths Brighton replaced hinges, handles and mechanisms to get all the windows operating perfectly. LBP Locksmiths Brighton were called to an emergency lock in today (05/08/15) on Clifton Hill in central Brighton. The customer’s thumb-turner euro cylinder had failed from the inside and therefore he was locked in his apartment. Being a major health and safety issue, LBP Locksmiths Brighton responded to the call out within twenty minutes. Upon arrival we assessed the lock itself was faulty, LBP Locksmiths Brighton opened the door by bypassing the faulty lock, we then replaced with a more reliable version.